Recently, I had the good fortune to visit China with my business partner, Matt Morasky. What a remarkable country. 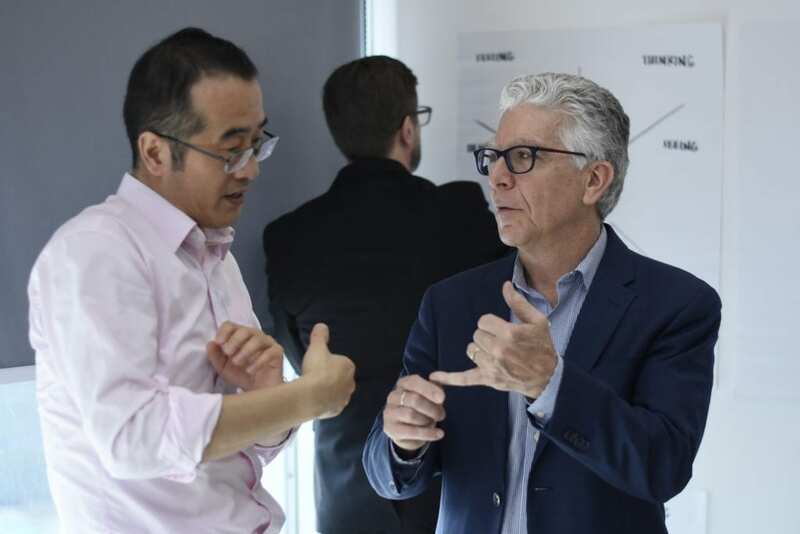 We were immediately filled with wonder at its size, the variety of cultures, and the residents’ keen interest in what we had to say about innovation. Why? In anticipation of a slowdown in China’s growth, the government has stated that innovation is a top priority. Our visit took us to Shenzhen, in southern China, just across the border from Hong Kong. We were invited to conduct a “train the trainer” workshop with our partner, The BCC Group. They recently licensed the rights to deliver courses based on our book, The Art of Opportunity. 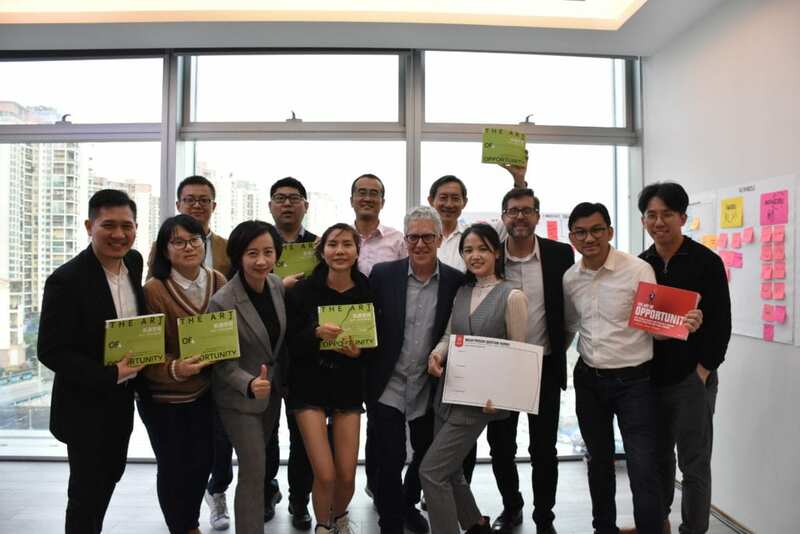 Naturally, we were delighted by the possibility of Chinese companies embracing the concepts in the book for how to find opportunities, craft strategies, and launch a new business or product. The trip was also punctuated by a visit to nearby Hong Kong to strike a strategic alliance with ParticleX, a tech startup investor and incubator. We are working with their Executive Director, Mingles Tsoi, to build curriculum, and advisory service to help create a startup ecosystem. 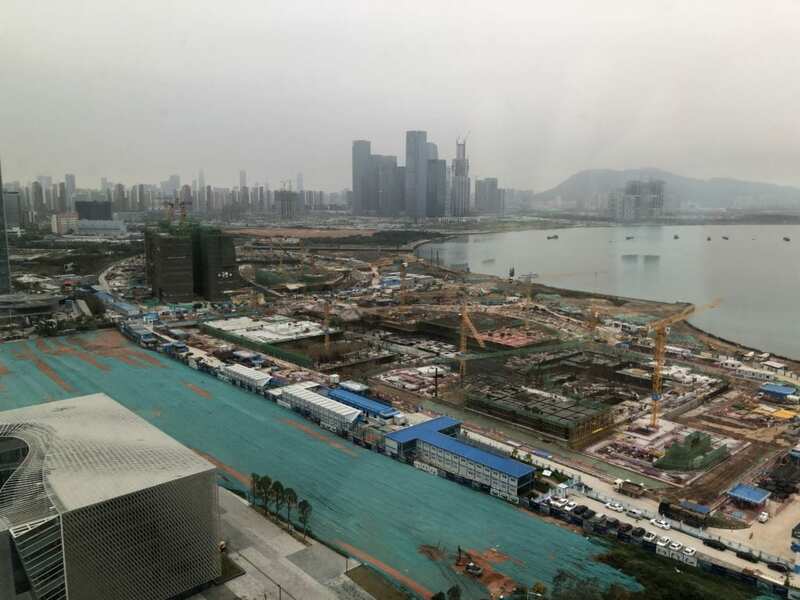 Shenzhen is becoming a tech hub – thought of as China’s Silicon Valley. Many of the country’s leading tech firms, such as Baidu (China’s Google), TenCent, and Huawei have a strong presence. Evidence of continued growth abounds. Cranes, equipment and workers are visible everywhere, creating new high-rise apartments and malls, entire new sections of the city. Two observations support this. First, in addition to construction, evidence of sustained growth is everywhere. Cars on the road are shiny and new. The shopping malls and office buildings were sparkling clean, and moderately busy, as if anticipating a future onslaught of consumers. In an enormous ocean side restaurant complex, evidence of this potential onslaught was fully visible. Families, groups of singles and business people enjoyed a sprawling array of dining options amidst the latest in Hollywood entertainment and Hello Kitty stores. It was a consumer experience on par with any I’ve seen in the world. 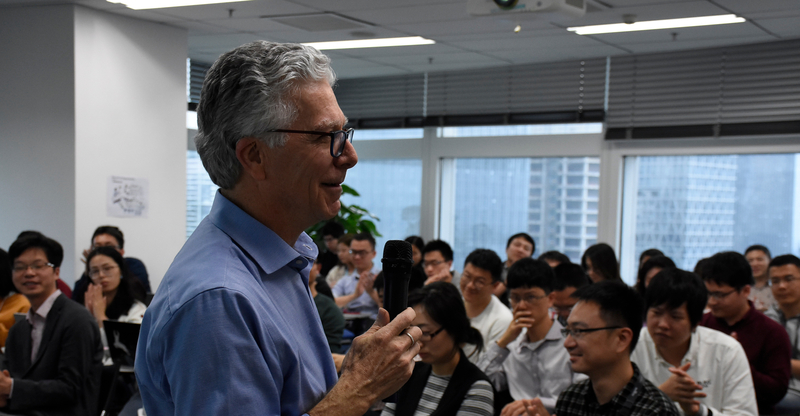 The second came while we were giving a presentation arranged by the BCC Group to senior product managers and engineers at Baidu. We talked about the principles in our book, and shared some of our case studies around strategy and innovation. Then we took questions and not once, not twice, but three times, the question we received was a variant of, “what can we do to prevent another company from taking our product our feature and implementing it in their product?” To me, this spoke volumes about China’s laws and culture around IP. We explained that they were looking at the problem from the wrong direction. Rather than hope for increased IP enforcement, we advised them to pursue new business models, revenue models, or offerings to ”change the game.” After all, continuous innovation is a hard act to follow. Chinese business is demonstrating the capability, ambition, and willingness to pursue this goal. It may take some time to learn how to respond to their consumers, but the demand is there. And innovation will most certainly follow. I will be curious to see how China responds to the call for innovation over the next decade. Challenges abound, but our visit reminded me of the joys of exploring new cultures and expanding how we see the world. And when we are motivated to listen, discuss, and share ideas we can find ways to create value across widely different cultures.